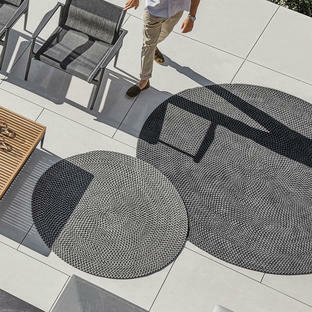 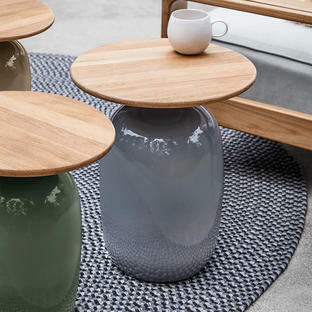 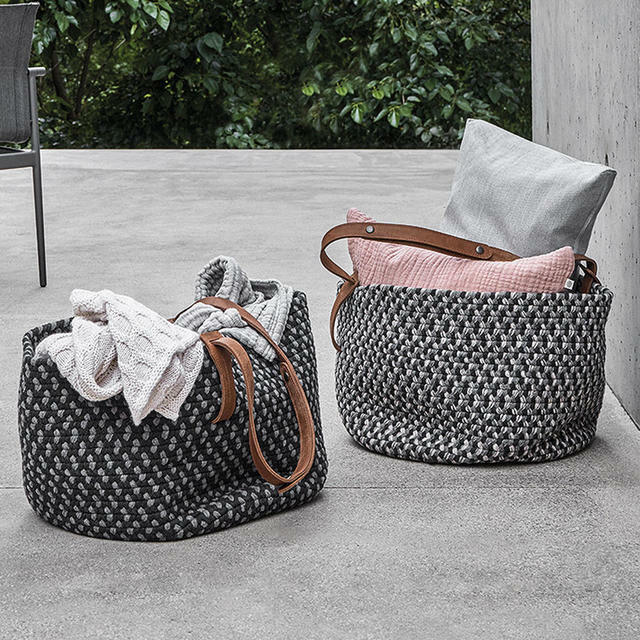 Delightful storage baskets by Gloster. 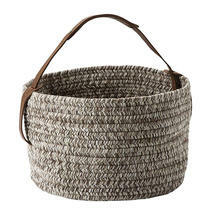 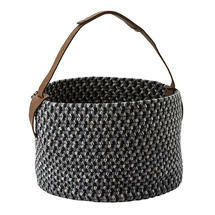 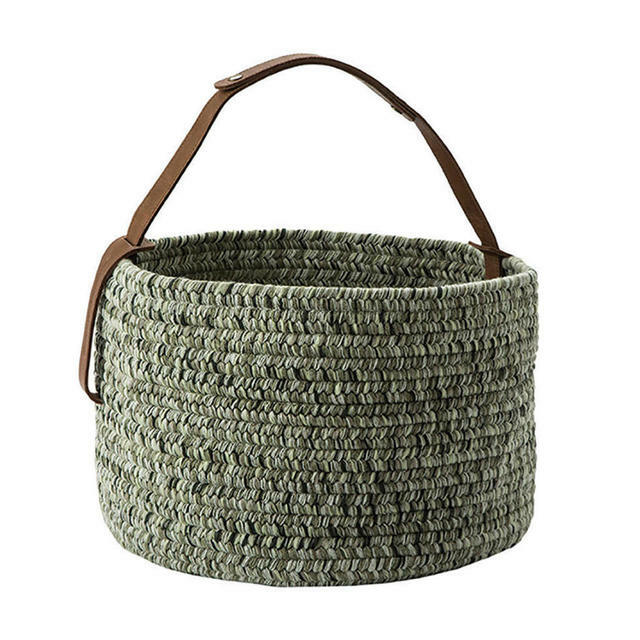 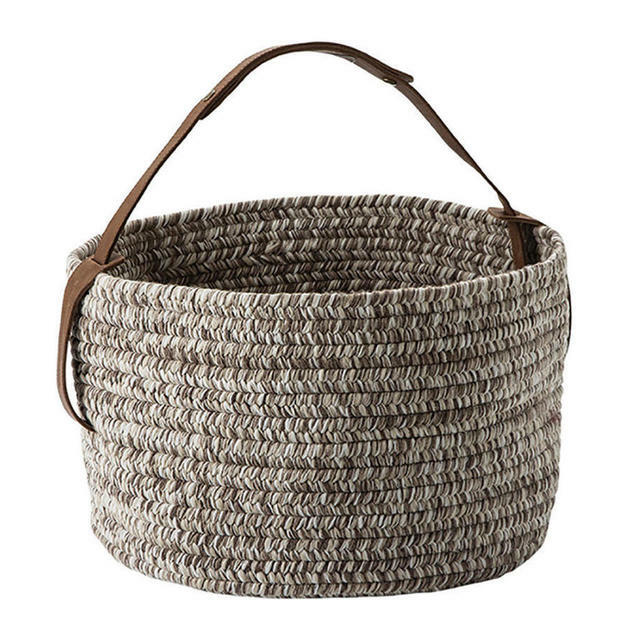 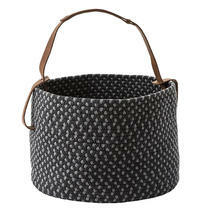 Made from woven Sunbrella acrylic outdoor rope basket with a natural leather handle. 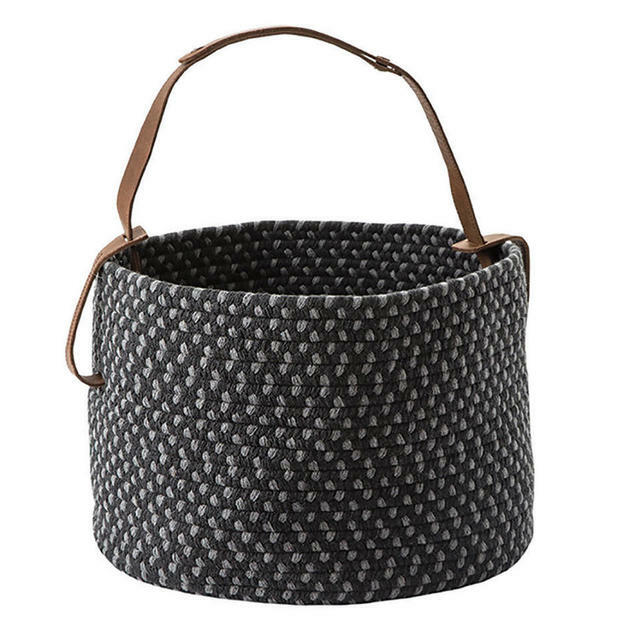 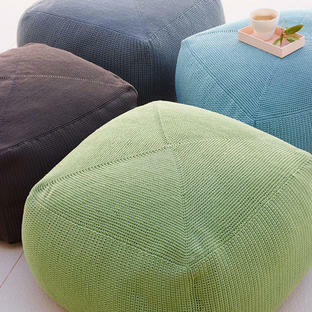 Lovely way to store throws, books or magazines in when relaxing in your outdoor space.